\The Old Republic Holiday Season is here! CG is gifting us with more Old Republic companions! What are the gifts? Do we have to wait until Christmas? NOPE! We have had our gifts revealed early. 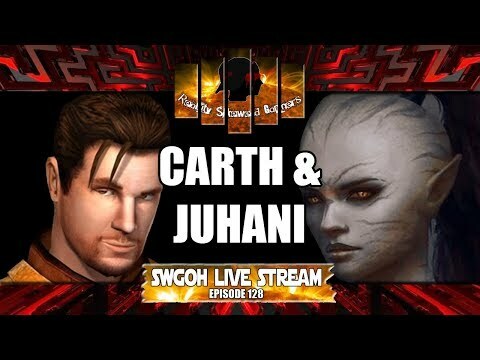 Carth Onasi and Juhani are coming to SWGOH. After a quick departure to 2 dark side Old Republic, we have returned to more Light Side. Where could these characters be potentially used? What will their impact be in the game? Why did we return to light side after just 2 dark side Old Republic characters? Join us as we discuss this.. AND MORE on this episode of the SWGOH Live Stream!